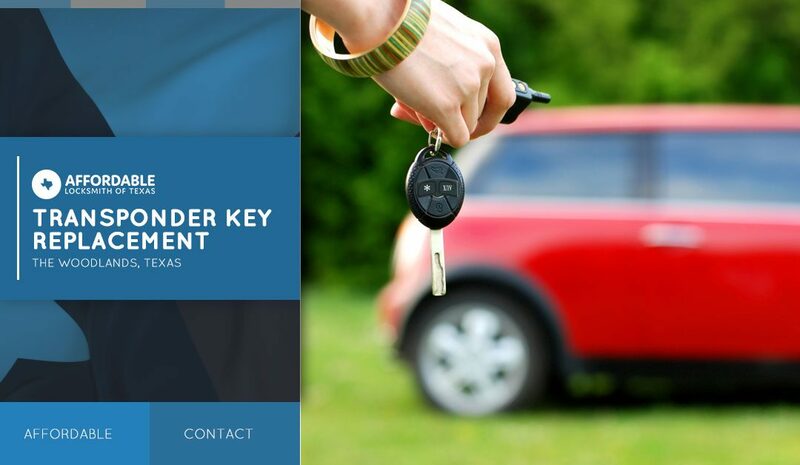 Affordable Locksmith of Texas offers comprehensive car locksmith services including transponder key replacement, key fob replacement, car key replacement, and more, because when we say that we are an auto locksmith, we mean it! Keyless entry has given us not only convenience, but also better security. Since the use of keyless entry that began in 1995, users across the country have seen a drop in break-ins which has allowed insurance companies to drop premiums for those with keyless entry. Why Affordable Locksmith of Texas? These advancements in technology are more convenient except when they don’t work. Not being able to use your key fob or struggling to get into your car is incredibly frustrating. That is why we offer 24 hour service to help you get into your car when you are locked out; for the same reasons, we always provide high-quality, customer focused transponder key replacement and car locksmith services. Want another reason to choose us? Unlike most dealerships who charge exorbitant fees for key fob replacement and installation, we offer competitive, affordable prices to our clients in The Woodlands. When you choose to do business with our car locksmiths, you can rest assured that you will get the same high-quality service everytime. If you don’t see a service listed above that you need, contact us! Whether you need key transponder replacement, car key replacement, or need your key fob fixed, the mobile locksmiths are here to help our new and past clients in The Woodlands. Whenever you contact us, rest assured that we will respond within 15 minutes to help you find a solution to the predicament that you are facing. We want to help you get back on the road, and to have the peace of mind knowing that your car and all that you have in it is safe. First-time clients get 10 percent off their first service! Contact us today for all your keyless entry and car locksmith needs in The Woodlands.